The house has been built to maximise the views, every room has a different view. Ohau Alpine Village is next to the glacial Lake Ohau in the MacKenzie Basin. The village is nestled beneath the Ohau Ski Field, and beside Lake Middleton which is a great place to enjoy kayaking, and water sports. No two days are ever the same, amazing views of Lake Ohau and the Southern Alps. A great location for skiing, hiking, photography, cycling, water sports and day trips. It is less than an hour from Mount Cook. The house is very well equipped, the beds are made up ready for guests to relax and unwind. It is lovely here. If you want to escape to a place where you can disconnect, this is the place to go. For those that cannot live without the internet, there is good wifi as well. 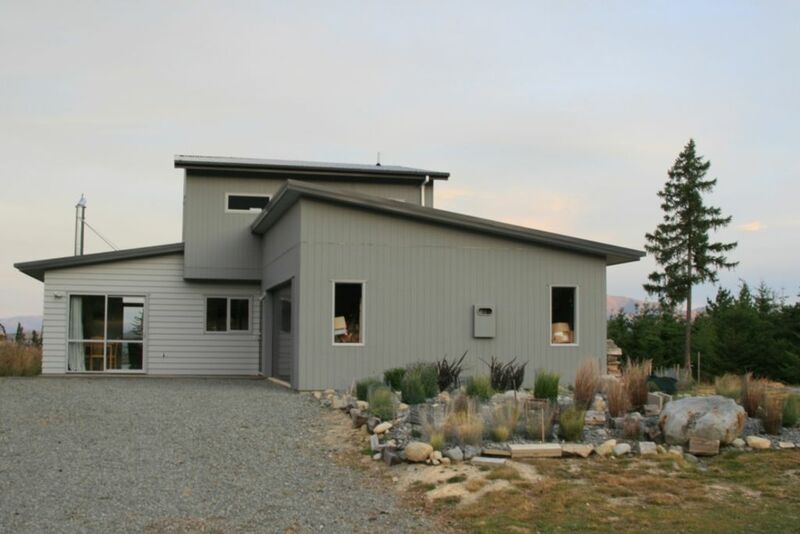 It is a spacious house that has commanding views to the Lake and back through to the mountains. The kitchen is well equipped kitchen, you just have to make sure you are supplied, as it is a 20 minute drive to the nearest shop, but you do not come here to go shopping. We were looking for some hikes and there are plenty to choose from. You can relax by the fire or have a bath after a strenuous day on the hills. We loved it. We stayed for 3 nights with our son and his girlfriend, and thoroughly enjoyed being there. The house is spacious, well planned and easy to live in. It was well equipped and bright with great views all around. There was no WiFi, so we had to talk to each other and play games!! Actually, this made a refreshing change. It’s a good base from which to visit Tekapo and Mount Cooke and we were lucky enough to have superb weather, including a dusting of snow on the high peaks. Would definitely recommend.